Theft and Intellectual Property are two twins whose destiny is intertwined and as such its essential to have laws and organisations in place that will curb the theft of one's hard work while making sure appropriate payment is made to composers.In the Zimbabwean context that organisation is ZIMURA which was founded in 1982 in Harare before regional branches were opened in Bulawayo,Mutare,Marondera and Chinhoyi.ZIMURA gets its power from the Copyright and Neighbouring Rights Act and its mandated to manage the rights of the composer while making it easier for end users of music to pay for art they consume through issuing a Copyright Music Licence.Since it is physically imposible for an artist to check which individuals and organisations are playing his music ZIMURA steps in by collecting royalties from Radio stations,Television Stations,Businesses and Individuals which it then distributes to members. 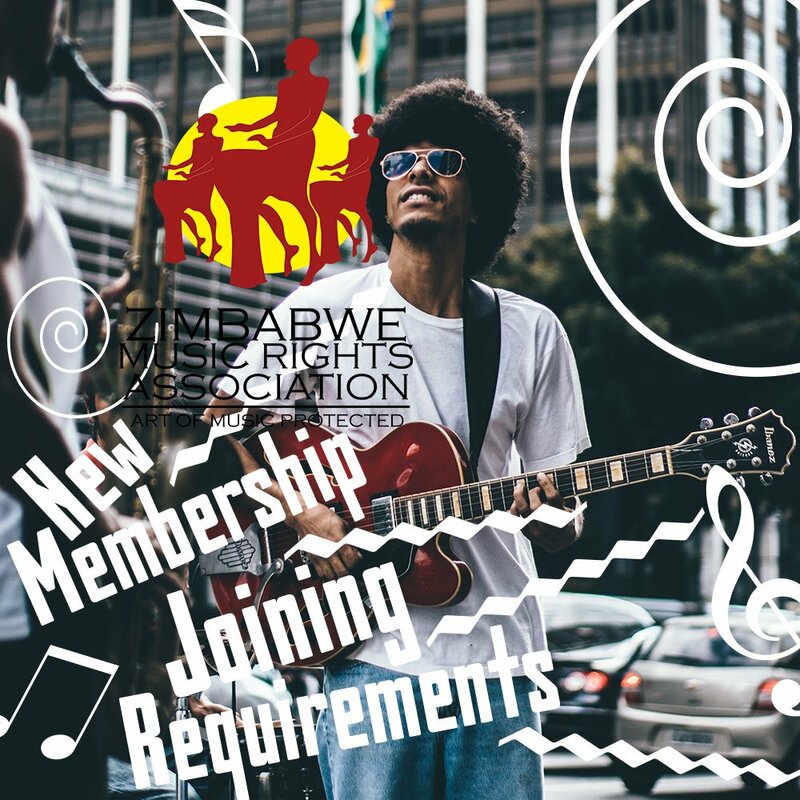 • Where the artist has less than eight required songs, a minimum of two original compositions enjoying airplay will make the artist eligible to register. 1) A specimen of the contract (Deed of Assignment) that the Company uses in obtaining rights from composers/authors/arrangers. such composers/authors/arrangers, together with copies of Deed of Assignment executed by such composers/authors/arrangers to the Company. 3) Copies of all contracts (“sub-publication agreements”) whereby the Company has acquired rights in musical works in its catalogue to foreign publishers. 4) Copies of all contracts (“sub-publication agreements”) whereby the Company has assigned rights in musical works in its catalogue to foreign publishers. 6) Copies of Company’s Certificate of Incorporation and Memorandum and Articles of Association. 7) Copies of the cassettes/ compact discs.